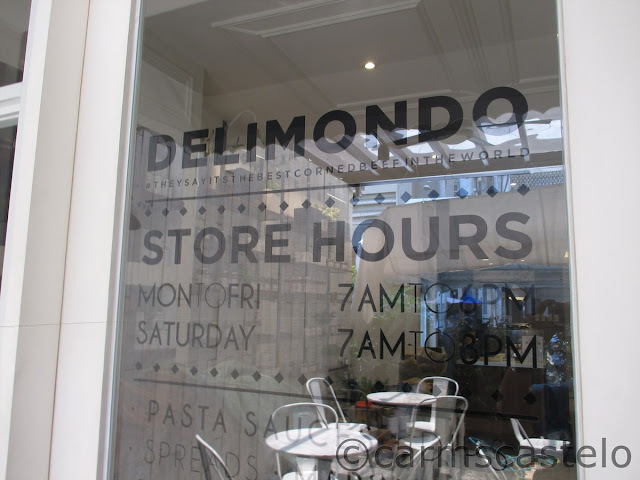 Facade of Delimondo restaurant and shop in Makati City. Not known maybe to many Filipinos, the world's best corned beef in the world comes from the Philippines. Perhaps because of its price that is a bit higher than other advertised brands; I have never seen a Delimondo advertisement in television; for the print ads, that I do not know. 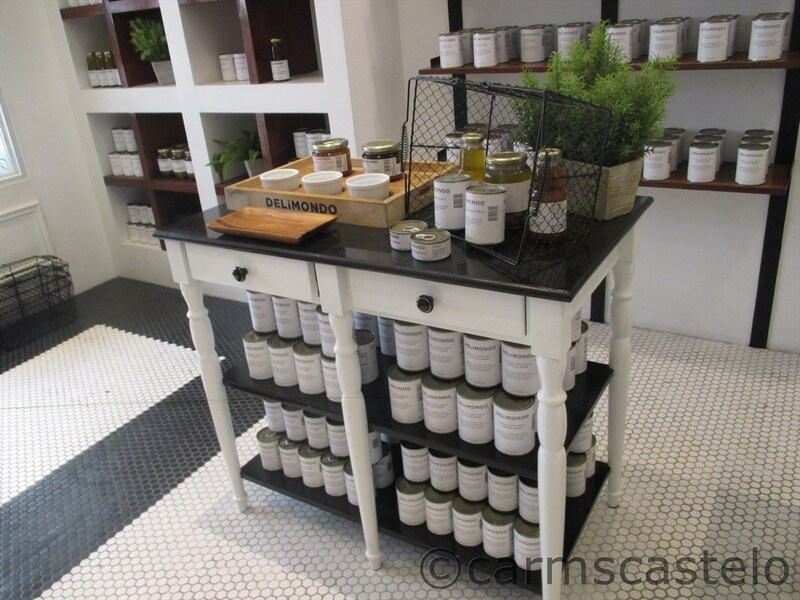 Delimondo brand is simple without any colorful packaging. After bringing to the office a Delimondo corned beef, an office mate kept on asking me where to buy one. I searched the net and learned that my favorite brand of corned beef, Delimondo, has a restaurant of its own and serves everything of DELIMONDO. 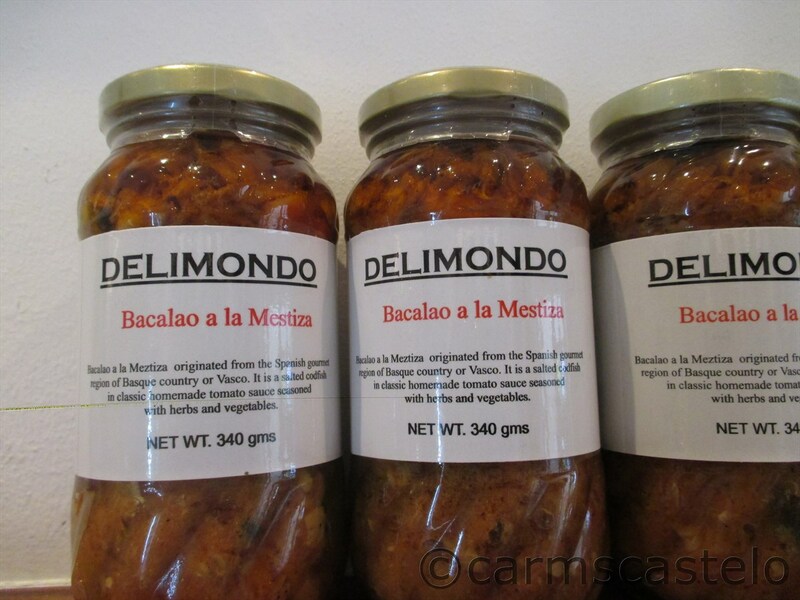 I went to the restaurant, ordered my Delimondo meal and bought some to take home. The restaurant is located in Makati City. I am a frequent passerby in the area but I never noticed that. I have been to a basement restaurant opposite Delimondo but I did not notice the latter. It is because the tent in a restaurant next door covers the sign. Had it not for the next big sign in the parking and a where-to question to the security guard, I will not be able to pinpoint immediately the restaurant. The restaurant serves rice meals, pasta - everything Delimondo and also pastry and coffee. 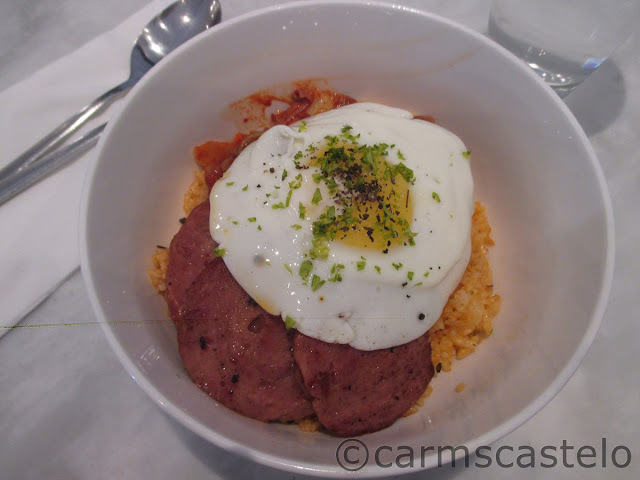 For my lunch, I ordered spicy luncheon meat in kimchi fried rice. The fried rice is topped with kimchi, Delimondo luncheon meat and sunny side up egg. For other menu, the restaurant serves chorizo carbonara, croque madame, spicy tinapa fried rice, sausage ragu pasta and corned beef cardereta lasagna. For the pastry, it serves barako cheesecake, San Marco, NY cheesecake, leche flan pudding cake, sticky date pudding, Kristen's gluten-free banana bread, carrot cake, ube cheesecake, Petra's chocolate cake, mini cheesecakes, brownies and blondies bars and croissant pudding. Brewed coffee and cappuccino are also available. The restaurant is mainly a shop for all Delimondo products. 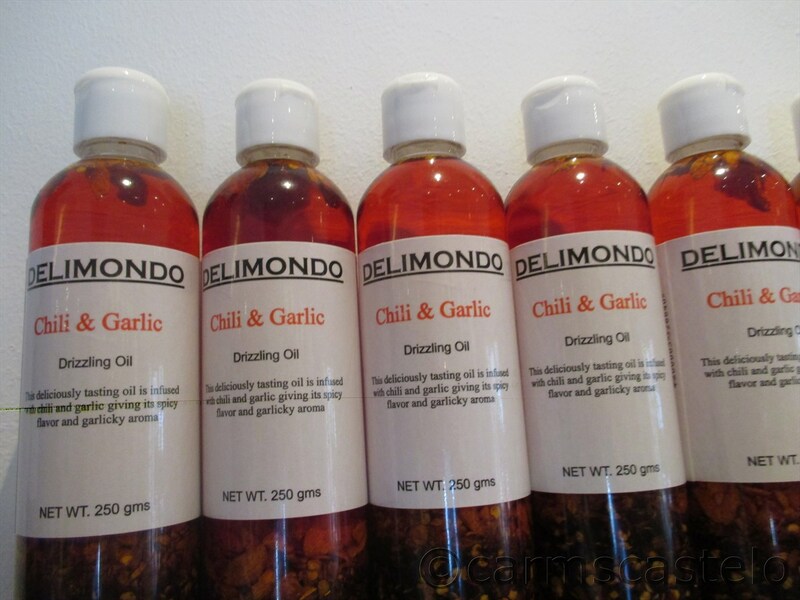 So, for one coming from Quezon City, taking home Delimondo products is a must to me. 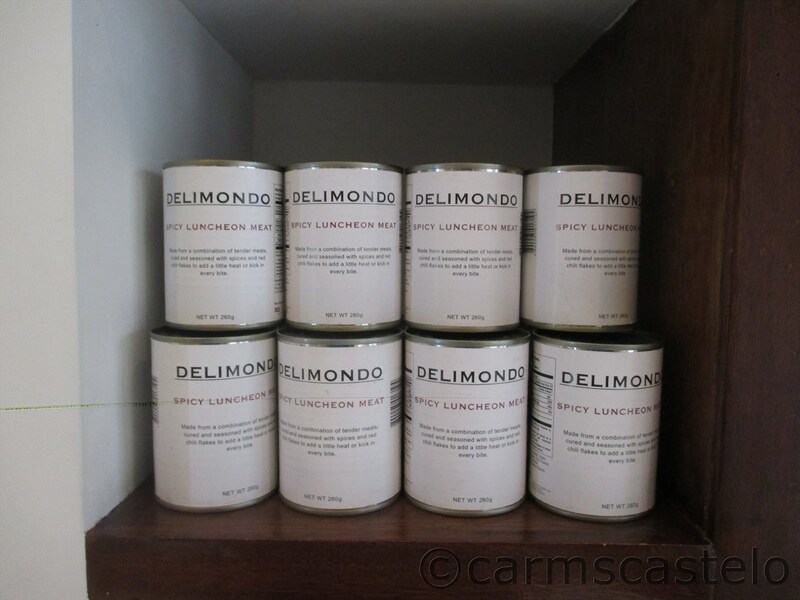 Known for the best corned beef, Delimondo brand also offers a wide-range of its deli line aside from corned beef. Those products, sold at a discounted price in Delimondo restaurant and shop, are the Delimondo sausages, pasta sauces, deli meats, drizzling oils and dressings, dips and spreads, marinades, canned meat and prepared food. Delimondo product line at its shop in Makati City.